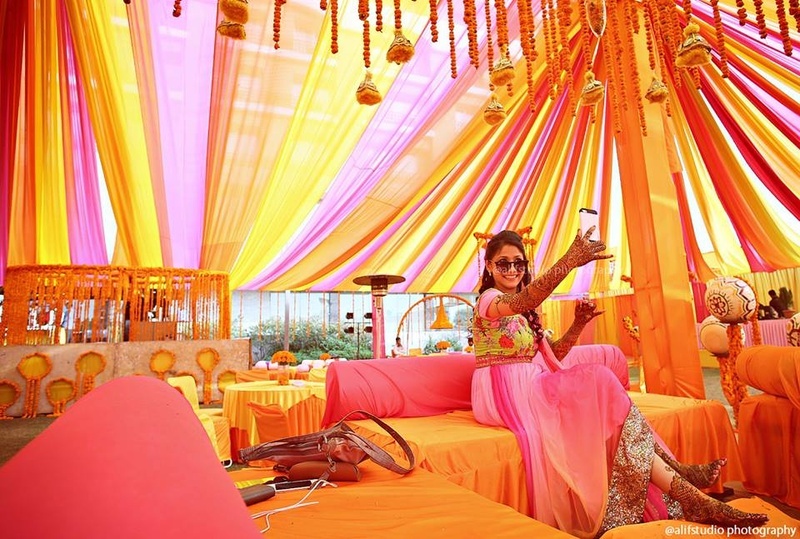 In India, Bollywood rules the entertainment space and it doesn’t come as a surprise when many wedding couples inculcate themes and scenarios from the movies on their big day - and Shailee and Chaityana did just that! 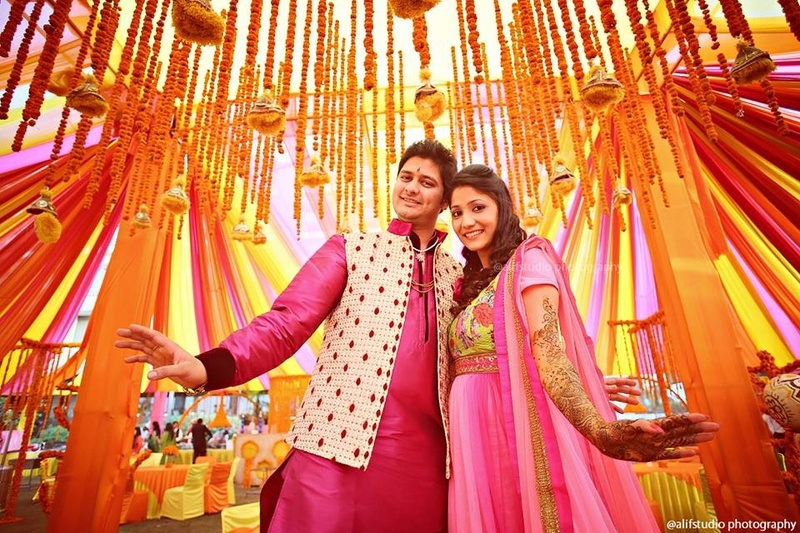 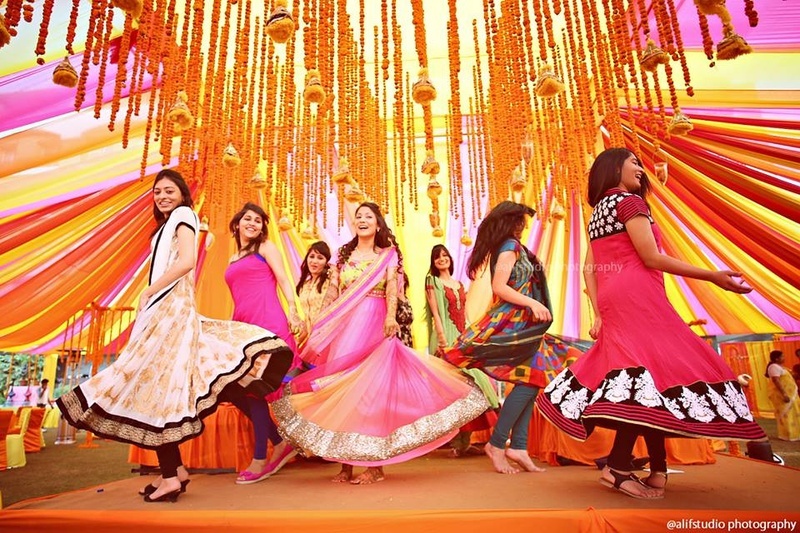 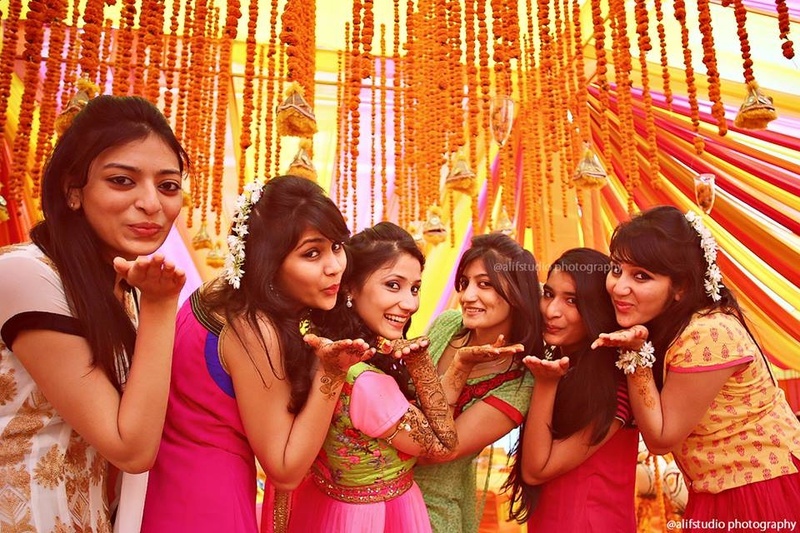 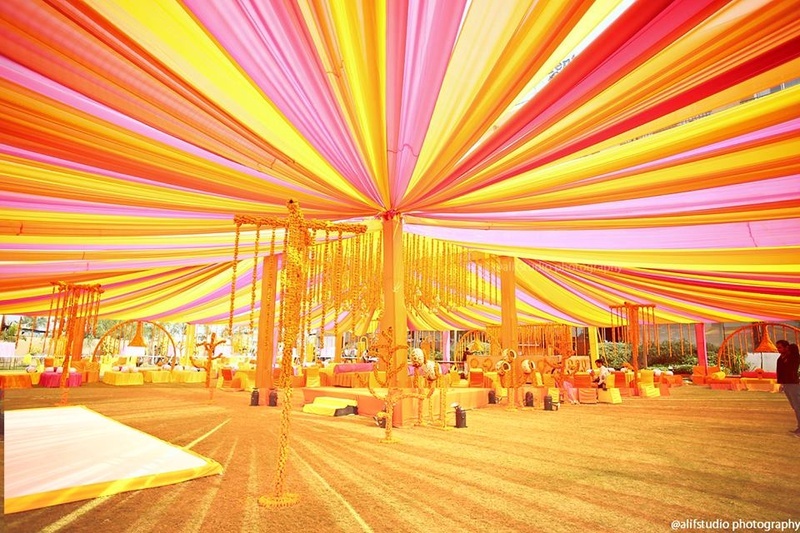 The wedding celebrations began with a mehendi ceremony which was held outdoors under a vibrantly draped shamiyana. 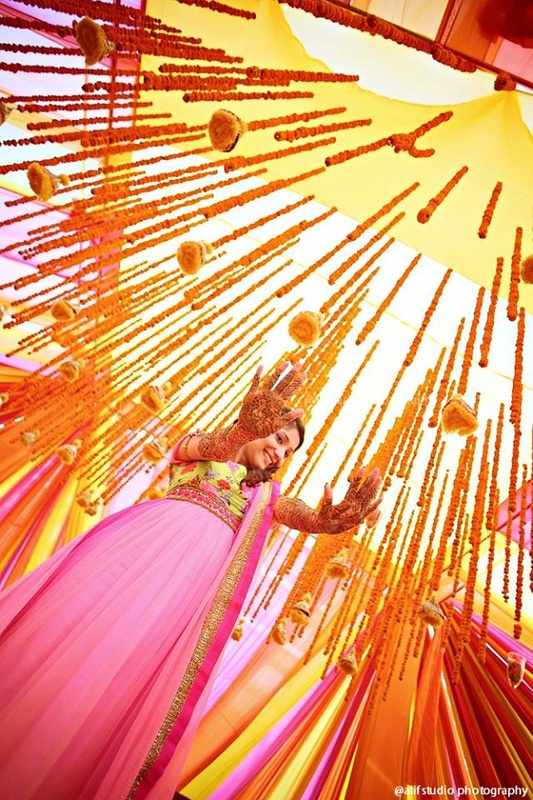 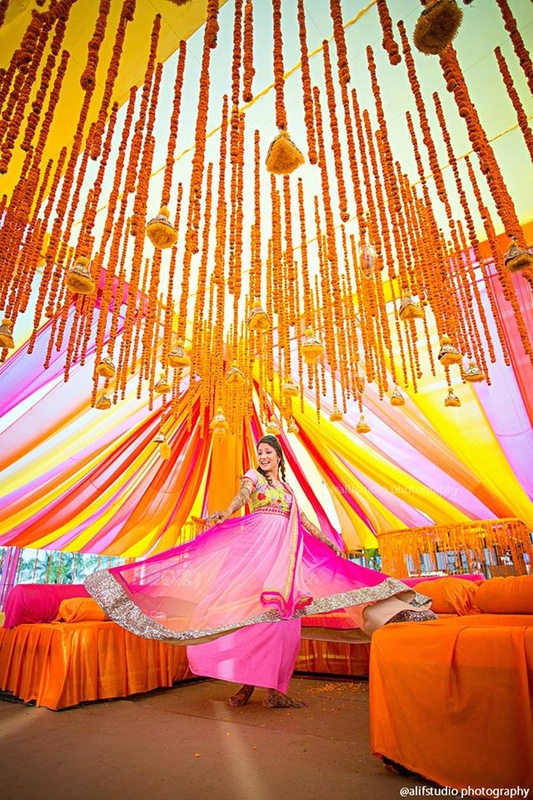 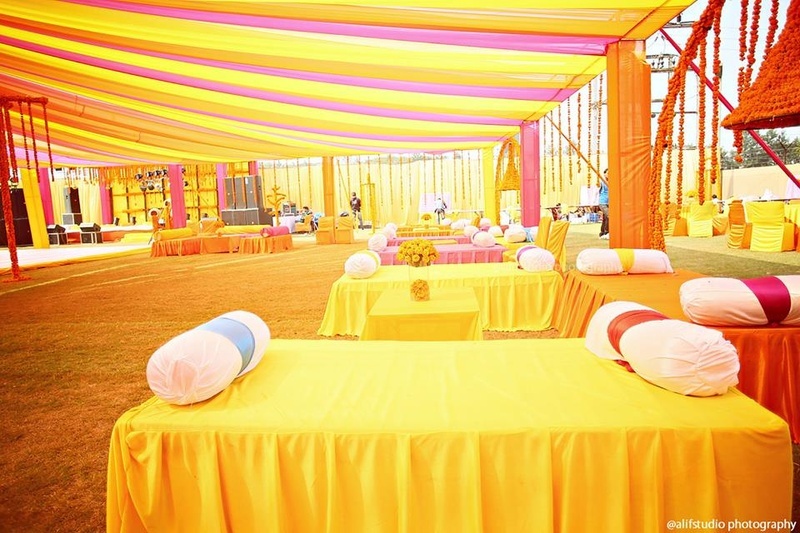 Bright pink and yellow drapes and multiple strings of marigold flowers beautified the entire wedding venue that also had matching seating arrangements, and a stage set right in the center for the mehendi ceremony. 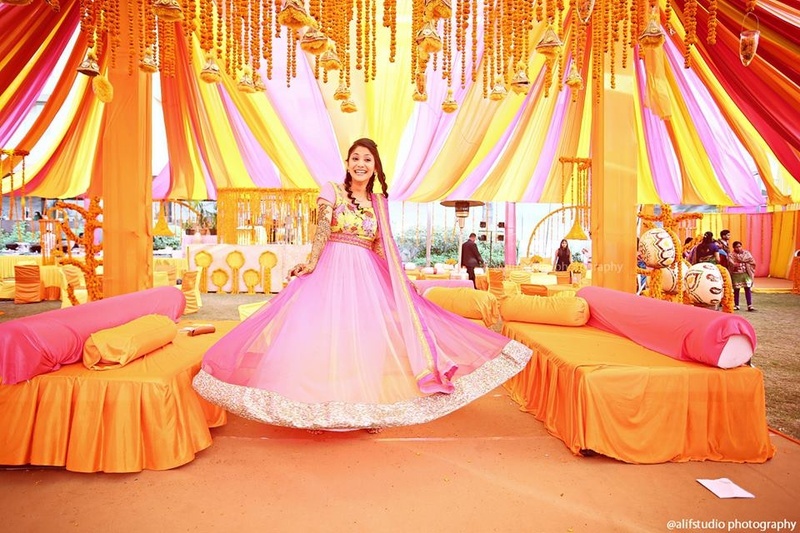 Twirling her ombre pink anarkali, Shailee enjoyed dancing to every beat with her girlfriends showing-off her enviable mehendi patterns adorned all over her hands and legs. 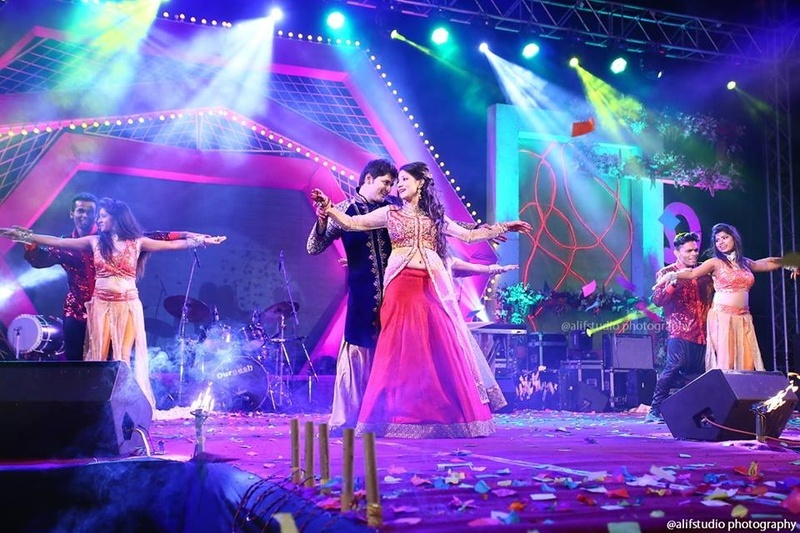 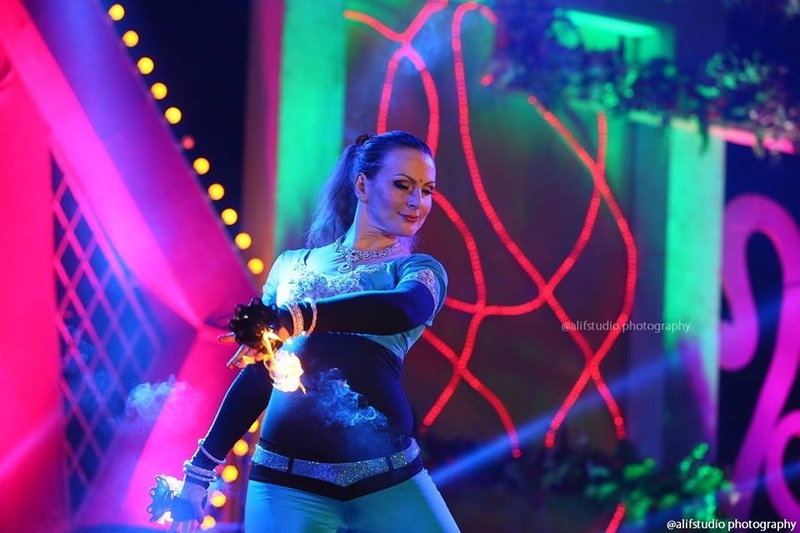 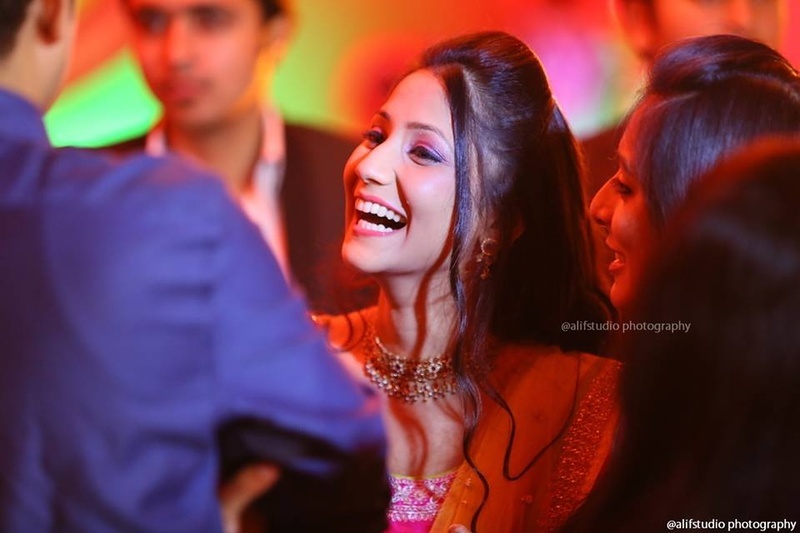 Providing a visual treat with real joy and entertainment was the couple’s engagement night. 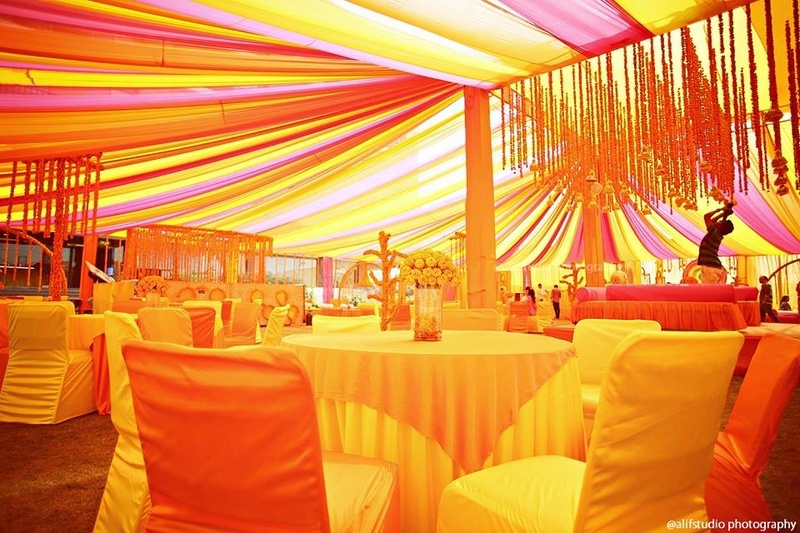 Set up with a concert-like stage, this occasion gave the guests nothing short of a Bollywood Award night feel. 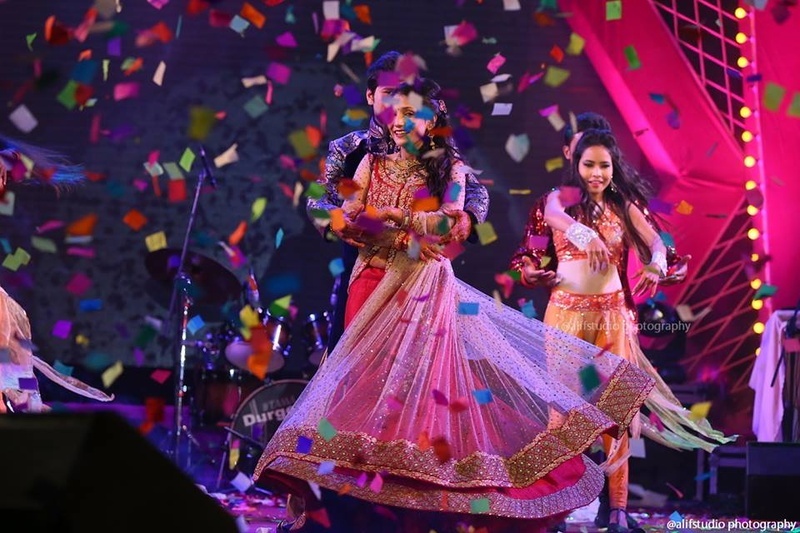 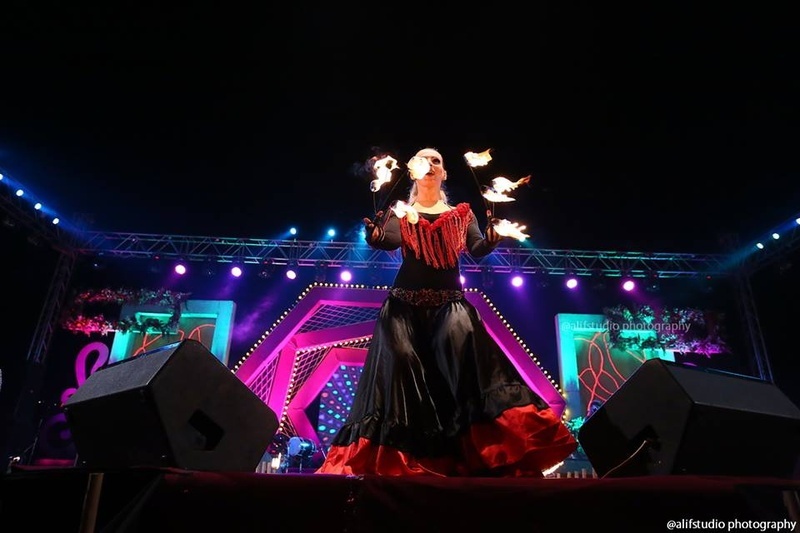 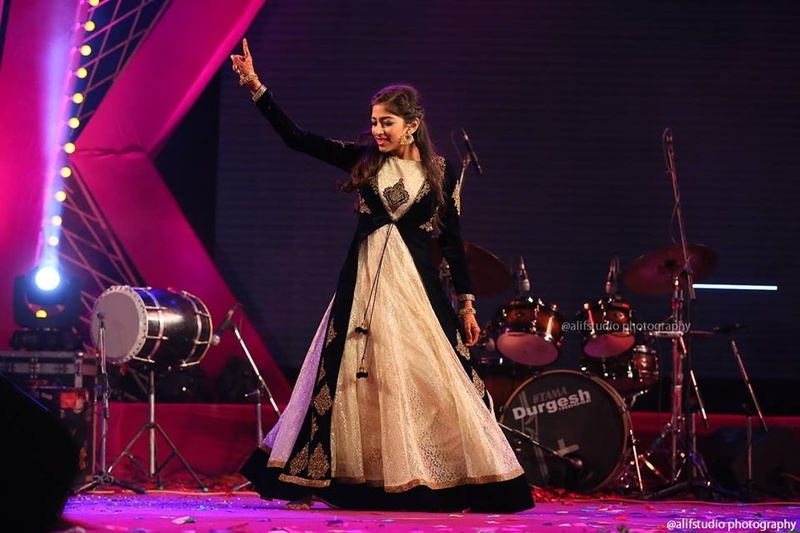 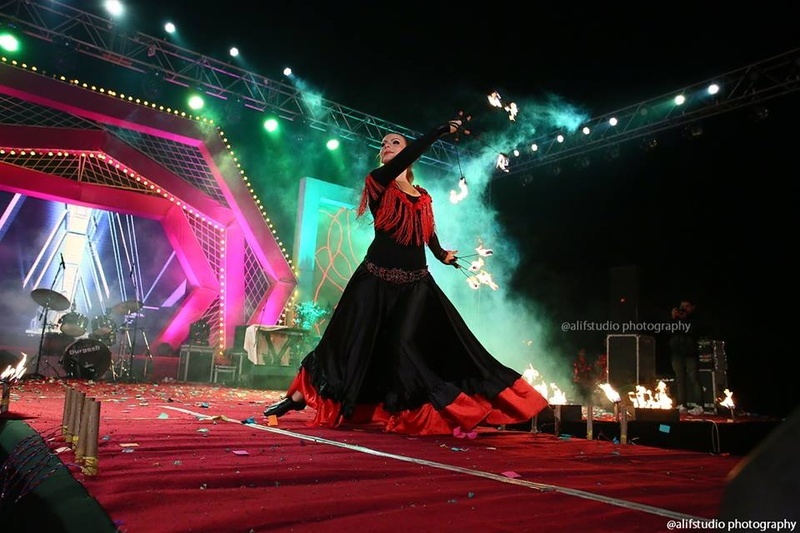 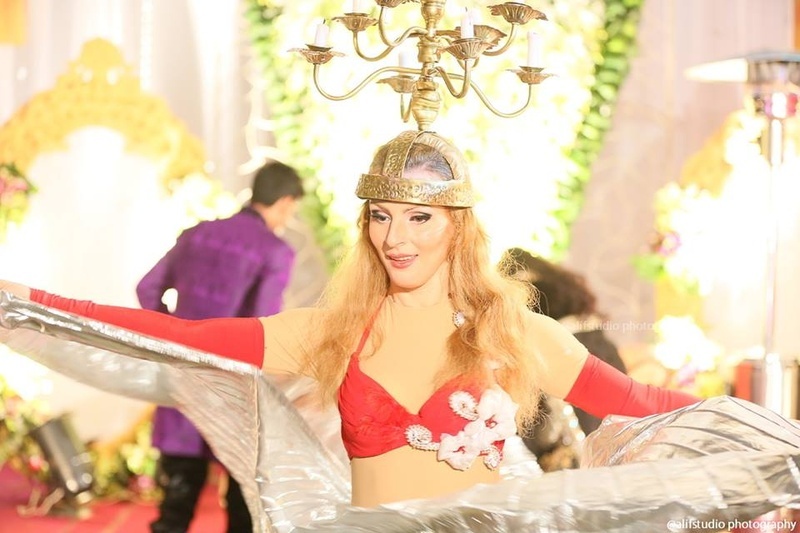 Chic wedding guests dressed in designer outfits, dazzled the evening with power packed performances. 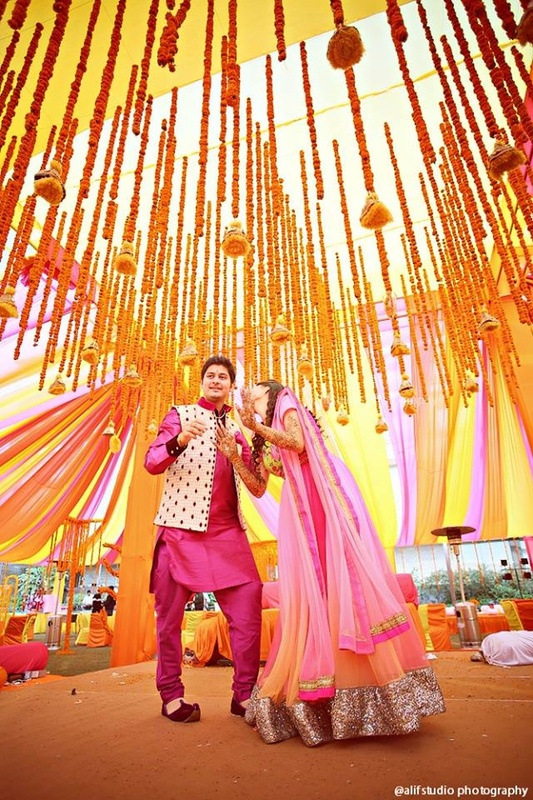 The groom looked dashing in his intricately embroidered velvet and brocade sherwani, while the bride looked stunning in a coral and cream jacket style anarkali. 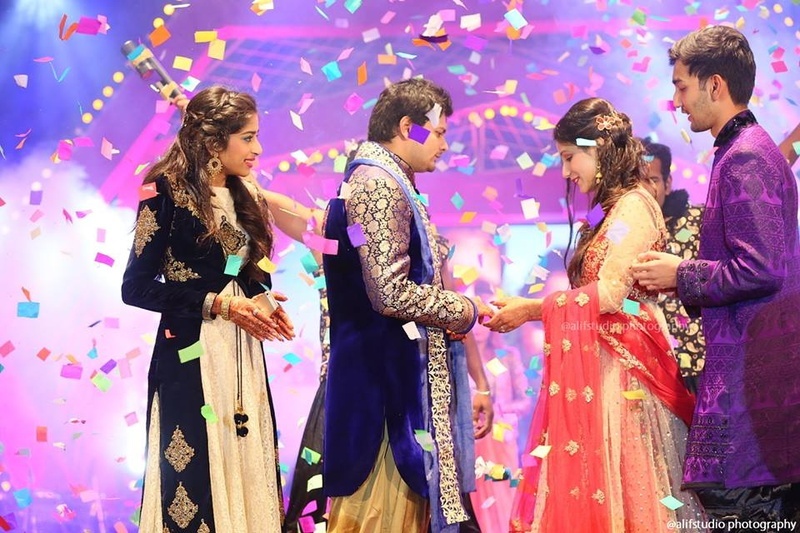 Immediately after their romantic First Dance, they exchanged rings. 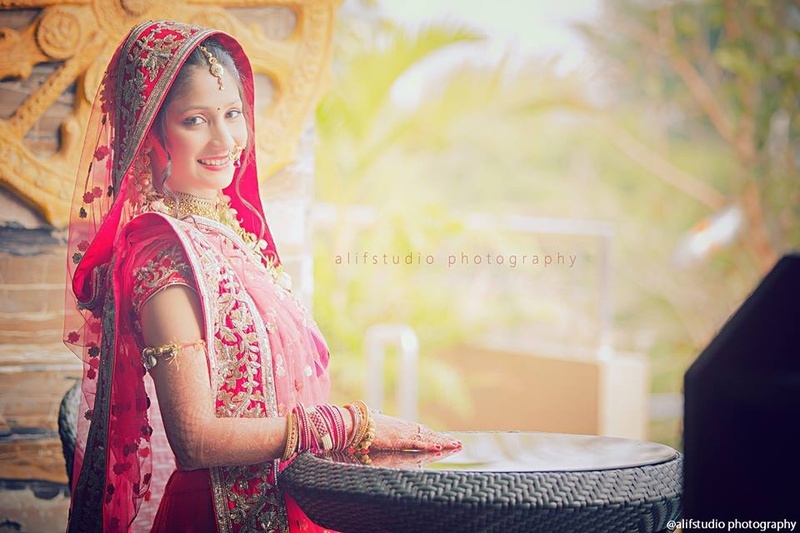 The entire wedding was shot by Abdul from Alif Studio, who perfectly captured compelling visuals throughout every wedding ceremony. 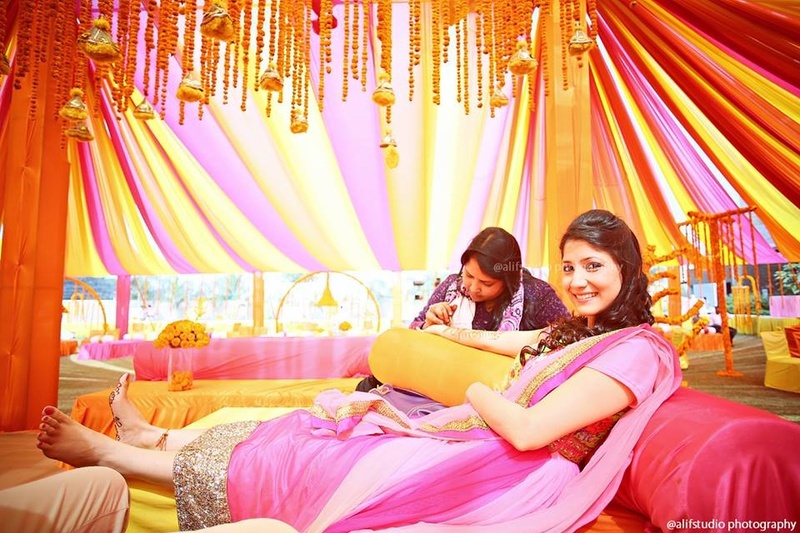 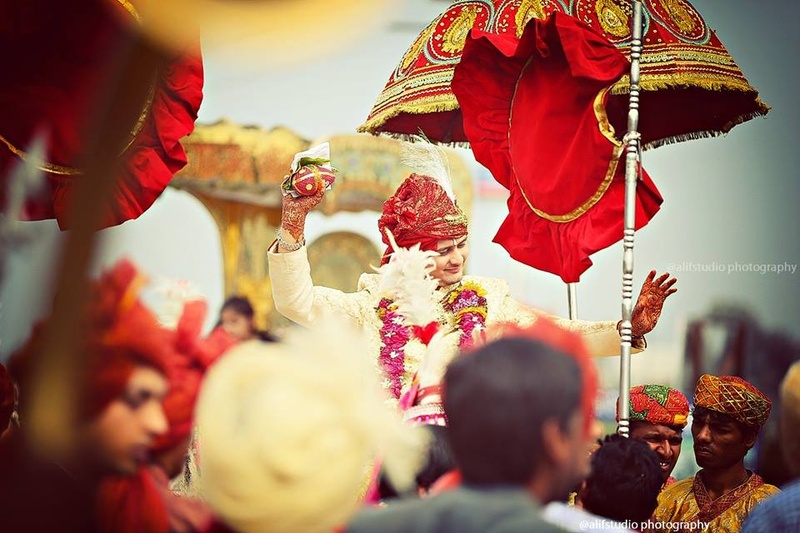 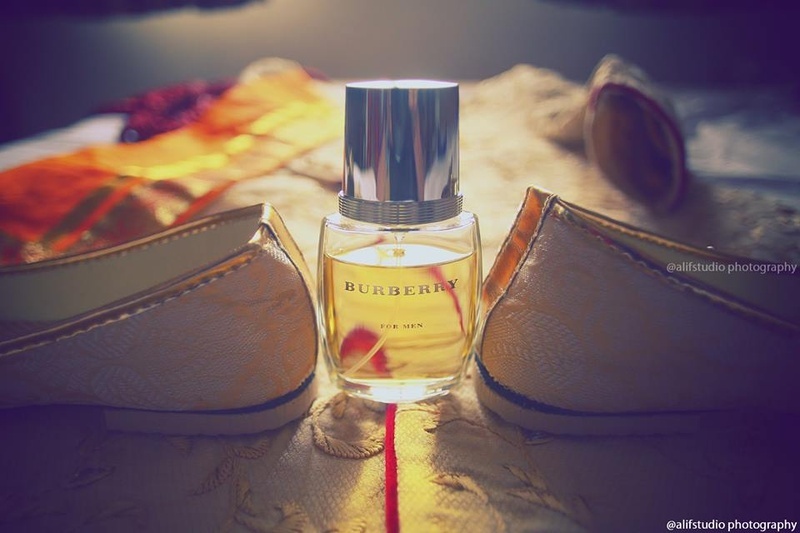 Ardent Bollywood fans, who wish to put these elements and themes into their special day, must see their wedding album! 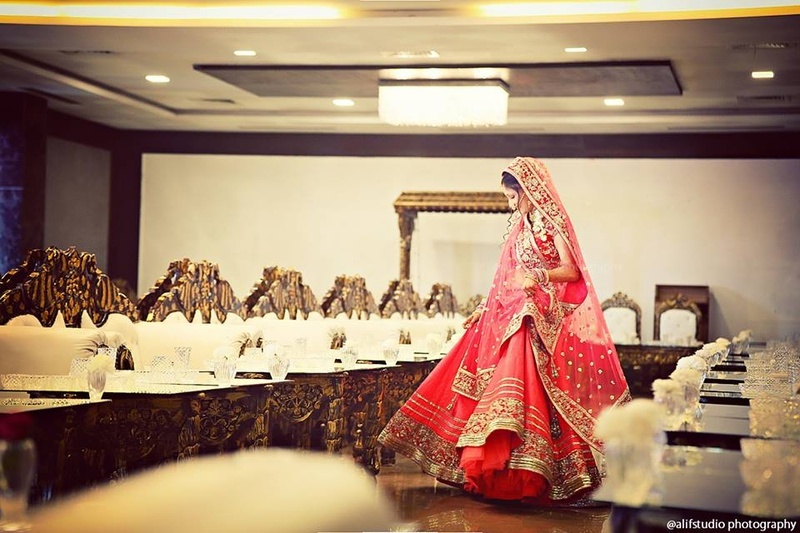 Wedding outfit ideas for Indian groom. 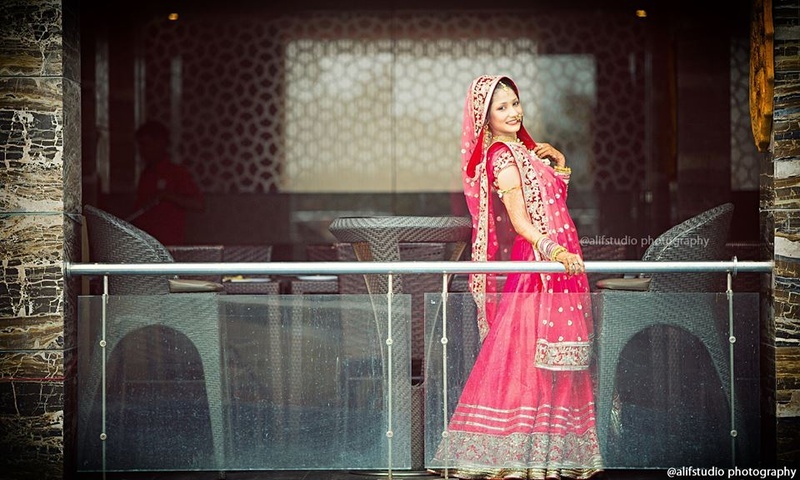 Sheer embellished jacket styled Anarkali lehenga.